When Olivia Kavanagh finds an old manuscript in her late grandfather's bookshop, she becomes fascinated by the story it tells of two young girls who mystified the world. But it is the discovery of an old photograph that leads her to realize how the fairy girls' lives intertwine with hers, connecting past to present and blurring her understanding of what is real and what is imagined. As she begins to understand why a nation once believed in fairies, can Olivia find a way to believe in herself? The story of the Cottingley faeries all but saved my life once upon a time. I had been out of work for almost nine months and sinking into depression more and more each day. My wife decided I needed to get out of my downward spiral, so she took me to see Fairytale, a film based on the Cottingley story. It was a lovely creation, and a bit of its magic rubbed off on me. I left the theater elated, my spirit had been turned about and was soaring. This book blends this tale with that of a young woman deciding independence was a better option that the ill-suited marriage she was committed to. She finds herself in a town alongside the Irish sea, having inherited her grandfather's bookstore. How one story travels toward the other and eventually connects the two lives makes a profound read, as the reader too is drawn into these two mythical worlds of the Cottingley faeries seeking to touch each other. It bids the reader to question and develop the mythic elements of his or her biography. The readers on the audio book are perfectly suited to their material. 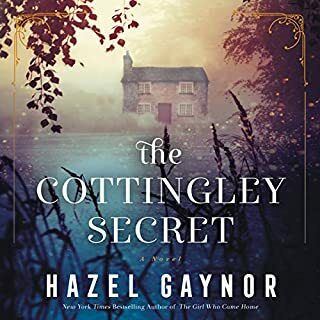 I'm blessed to have come upon Hazel Gaynor's vision of Cottingley's relevance in a post enchanted world, and I think you may be as well. Well drafted tale and bloody well written. 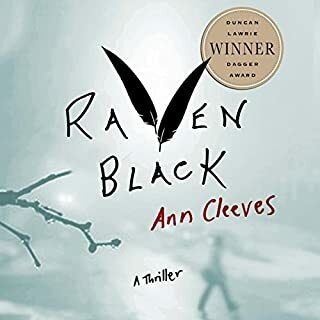 A raw bleakness that almost seems to ground these islands serves up well in Cleeve's characters. Enjoyed it immensely. 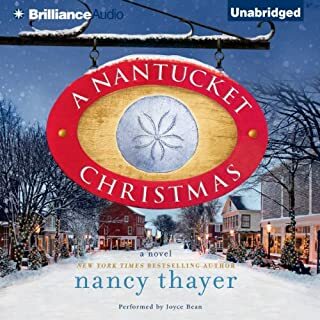 Holidays on this Massachusetts island are nothing short of magical, and the season’s wonderful traditions are much loved by Nicole Somerset, new to Nantucket and recently married to a handsome former attorney. Their home is already full of enticing scents of pine, baking spices, and homemade pie. But the warm, festive mood is soon tempered by Nicole’s chilly stepdaughter, Kennedy, who arrives without a hint of holiday spirit. Determined to keep her stepmother at arm’s length - or, better yet, out of the picture altogether - Kennedy schemes to sabotage Nicole’s holiday preparations. I cared about the dog, and the description of Nantucket was not completely without charm. I bought this thinking I was getting the whole; I was not. On the other hand, the narration was so good, I had to have the book. Once I has it, I realized how extensive the editing had been. So a big "boo" to Audible for not letting customers know about their arrangement, but a round of applause for Nancy Gibbs and Michael Duffy for a great book. L.J. 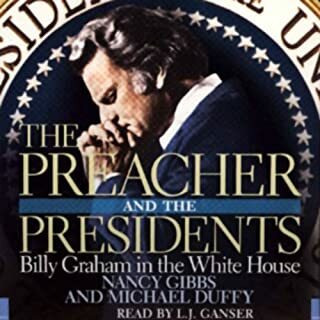 Gardner's narration was risky (using a Carolina accent when quoting Graham), but for me it deepened the experience. Garrison Keillor and Dan Johnson both grew up in the bosom of fundamentalism. Their shared love of the Bible and its stories led to this collaboration, which blends details from all the gospels into a single book-length story. 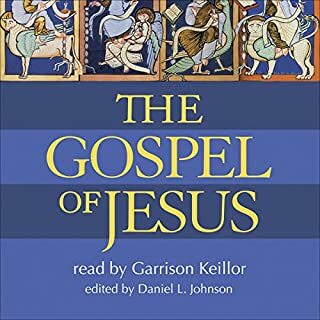 What other book might you compare Gospel of Jesus to and why? Jesus never wrote down his teachings--no that we know of. There's no account of it, if he did. His teachings and the stories told about him, scholars agree, almost certainly had an oral history before being put down in writing. So, it's good to experience vocal Gospels.But what you don't want--at least I don't--is a dramatic reading. When the Gospels are read in a high church (Catholic, Anglican, Orthodox, sometimes Lutheran), readers are instructed to read the simply, plainly. The idea is that you trust the word to do it's work and you don't manifest trust if you are trying to prop up the verses with some sort of performance. There is spiritual wisdom in this instruction. Thankfully, that is just how Garrison Keillor does it. Have you listened to any of Garrison Keillor’s other performances before? How does this one compare? Mr. Keillor has a beautiful deep voice, a ponderous vibrancy that touches the marrow of those who listen. There's no need for eruption, speed changes, dramatic pauses. He just reads it allows the words, the lines, the teachings and the stories to do their own work.I have more than a few audible Bibles, none of them approach the spirituality I experience in this simple reading. If you could sum up The Wisdom of the Shire in three words, what would they be? I enjoyed this recording tremendously. Some may think it odd--given an American has written this book--to have Simon Vance record it, but I wish his voice was on everything Hobbit. The author leans a little to Tolkien's left, I think, but so do I so no objections there. The first go-through, this was bathtub listening, but a second excursion had me reading along. I even took the time to make the soup. 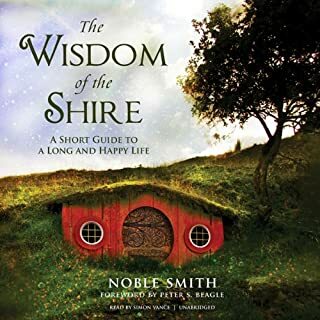 What other book might you compare The Wisdom of the Shire to and why? I'm always searching the Shire Public Library, so who knows? Might be anything. As the leader of the Catholic Church, the oldest continuing institution in the Western world, Pope John Paul II was a giant in every sphere he touched: personal, theological, political, ecumenical. In an age rich with heroes, Pope John Paul II was truly the great man of the past century, a man who personally confronted its tragedies, from Nazism to communism. 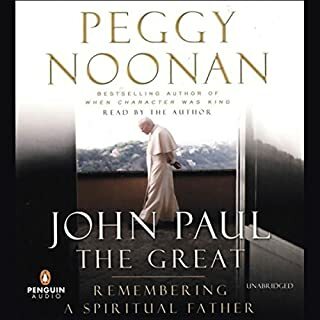 Would you listen to John Paul the Great again? Why? Few authors read their own work with the vitality Peggy Noonan does. Let that be said right from the start. It's a wonderful experience listening to her muse upon her life as a Catholic and the gravity of a Pope who centered her. Perhaps the greatest Christian in the 20th Century, his influence was, and continues to be, overwhelming. That said, this recording is not so much about him as it is about her--and that's not necessarily a bad thing. There are other great biographies of John Paul. What's great about this work is the pretentiousness way Ms. Noonan proclaims her faith--a faith that is a bit more wonder than creed, more thoughtful than strident, and more moving than sedentary.The great thing about the author is that she defines herself as a Conservative, but does not let any one in the Conservative movement define her. She is free to consider options with more grace than skepticism. I'm a liberal, but I love being brought into the world as she sees it. This book is more personal than I thought it would be, and that, as she is fond of saying, is a good thing. If you are quite familiar John Paul, thank you, don't let that stop you. This is something new and wonderful. What was one of the most memorable moments of John Paul the Great?